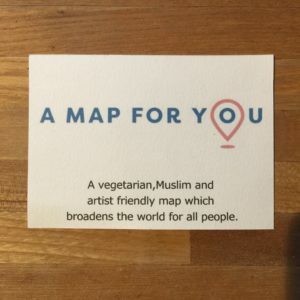 A vegitarian, Muslim and Artist friendly map which broadens the world for all people. AIRY has hosted artists from all over the world and supported them on their works, exhibitions and everyday needs. AIRY staff noticed the importance of a map that shows places to get vegetarian or halal food and art supplies in Kofu city. 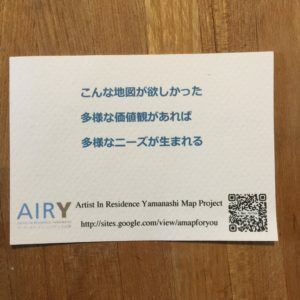 This project “A Map for You” was started for this reason. We have been researching shops, cafes and restaurants for the map. Their information will be on Google My Map “A Map for You”. 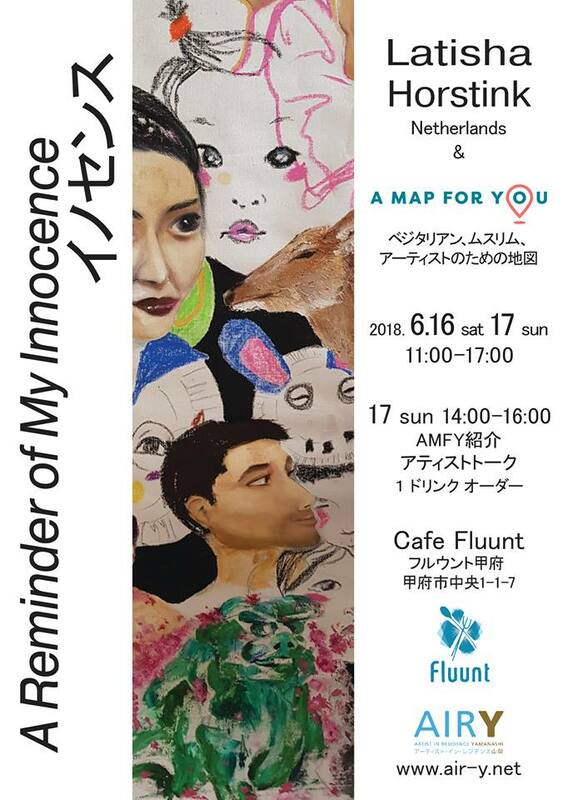 You can find the URL of the map around Kofu Station, universities, cafes, restaurants and supermarkets. Muslim, Vegetarian, Exchange students, teachers, tourists, artists, cafe owners, restaurant owners, etc.